It is human nature to classify things, most commonly into good and bad categories where they can be safely forgotten. But pigeonholing people can be problematic for you as well as the person you are classifying. I grew up in a different town to the one I live in (and call home). I’ve been back now and again, but not regularly – going back is not as exciting as going somewhere new, though it doesn’t bear much resemblance to the place I knew anymore. Regardless, one of the interesting, and yet disturbing things I noticed on my most recent visit were my pigeonholes. A category, typically an overly restrictive one, to which someone or something is assigned. And the problem with that is that once you’re in there, you can’t get out again. Pigeonholes are small nesting boxes found in dovecotes, and dovecotes are chicken coops for pigeons (or doves). Pigeons were originally cliff dwellers who like solid ground underneath them and seemingly fight a bit so the holes may have come about as a way to protect the eggs. You won’t see dovecotes much today because pigeons aren’t intensively farmed for food (or eggs). The aristocracy who were once the only ones permitted to breed them probably eat chicken instead. Once classified, you are constrained by those parameters, and this can have serious effects on your personal wellbeing and career. On a personal level, it could be that you are not invited to a cake making class, an early morning bike ride, or a controversial foreign film. Sometimes you find yourself in a pigeonhole because you expressed enthusiasm or interest in something. It might be something as innocent as trying a strawberry centre chocolate, and then finding yourself limited to them when the box comes round because you are the only one who “likes” them. Or it could get as serious as having your work restricted because your boss thinks you like working with that outdated software, and therefore you become the only one who knows how to use it. (And potentially laid off when the software is replaced). The problems for the people doing the classifying are less obvious, but I think it goes with our basic classification system: good or bad, right or wrong, for us or against us. There’s no room for grey or a continuum of difference. Maybe this is fear of failure and the need for a scapegoat. Or of losing control. Living in fear has a resulting health cost, and even if this is a tiny concern, added to your other fears it becomes a big messy overwhelming ball of terror. Just as the person in the pigeonhole loses out, so do you. You deny yourself the opportunity to see them grow, and being blind to this growth denies you the inspiration it provides. Or to develop a more complex relationship with your pigeon-person. In a business context, this might be tragic if your high achiever preferences traditional skills and attitudes over lateral thinkers. Nothing will change unless you do something about it. First, you need to decide whether you need to break out – pigeonholes can be comfortable places too. Being classified as the girl who broke her brother’s tooth is less of a problem than being the boy beaten up by his little sister. But being “Here comes trouble!” might be something that needs to be addressed. If you decide it is a problem, then you need to talk about it with the person who put you there. Sometimes you will need to give them permission to be frank and open. For example, your boss may not want to tell you that you present as a show-off know it all who never lets another person get a word in edgewise during team meetings. Or you may have to be the one being frank and open. For example, if you are accused of being “always late” you may need to point out that you have been waiting for half an hour, and that you will no longer wait more than five minutes. Continually demonstrate the behaviours you want to be known for (e.g., regularly and obviously not being late). Actively pursue opportunities; learn new skills, meet new people, and enjoy new experiences. Manage your motivations (e.g., eat the caramels first and experiment with different flavours in private). Imagine how your life might change in response to significant events (e.g. a marriage or redundancy) and what you might do to break your classification before you need to. Sadly life doesn’t always have the same quality of endings as Disney fairy tales. You cannot control the attitudes and behaviours of other people. Sometimes you have to choose whether to live in your assigned pigeonhole or leave it. This isn’t necessarily bad, it’s just a new phase of life; new job, new partner, new town, new opportunities. 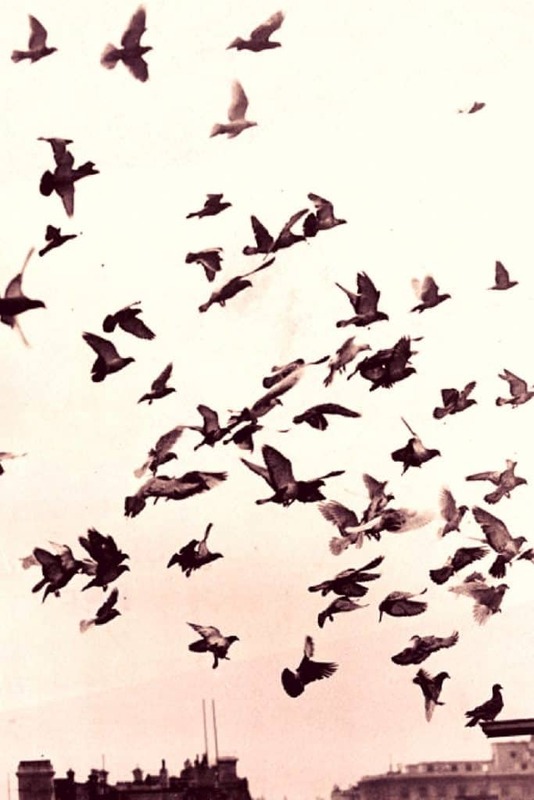 There are many theories about how homing pigeons find their way home; by smell, the direction of the sun, magnetic fields, or ultralow-frequency sounds. I saw a documentary a while back that suggested that racing pigeons learn to get home the same way drivers do, by orienting themselves against landmarks like roads, rivers and buildings. I like the landmark theory because in many ways pigeonholing people is a lot like mapping out who amongst your friends and colleagues is good for what. After all, you wouldn’t necessarily want to invite your rock climbing friends to your cake making class. But why not risk it? Give them the opportunity to choose whether to try something new and different. If I amused, entertained, or informed you today, feel free to leave a small gift via PayPal (AU$). A delicious full-cream caffè latte!